There is something special about a factory bike and throughout the seasons, the HRC factory team have brought us some of the most beautiful pieces of machinery seen in the Grand Prix paddock. 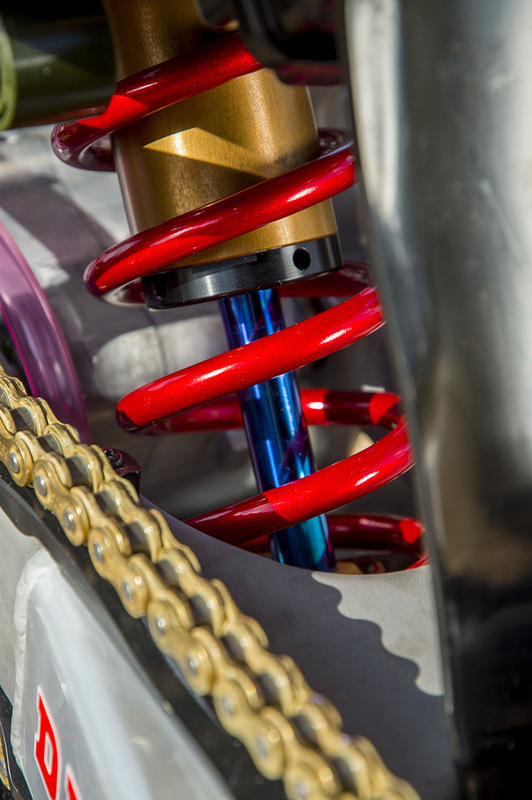 2019 won't be any different, and Bavo Swijgers shot some pretty cool images of this years HRC weapon. 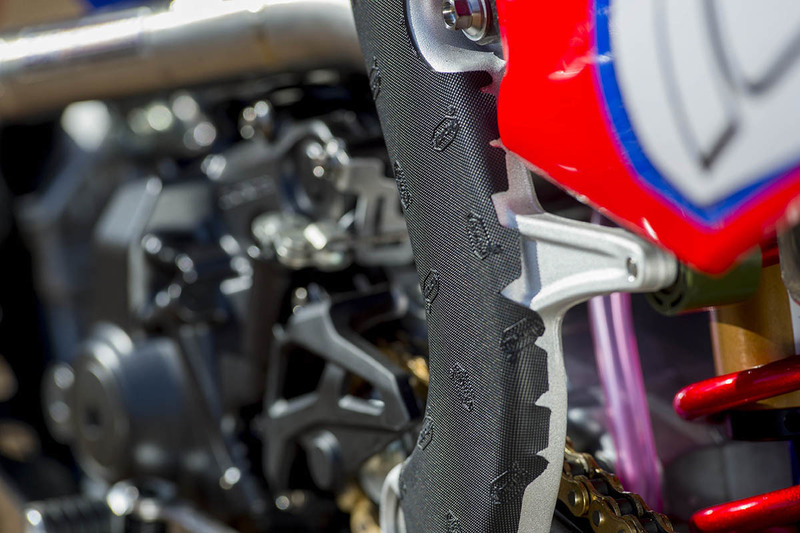 The Honda CRF450RW is the works machine developed by Team HRC’s engineers and the technical might of Honda Racing Corporation and Honda’s R&D department in Japan. 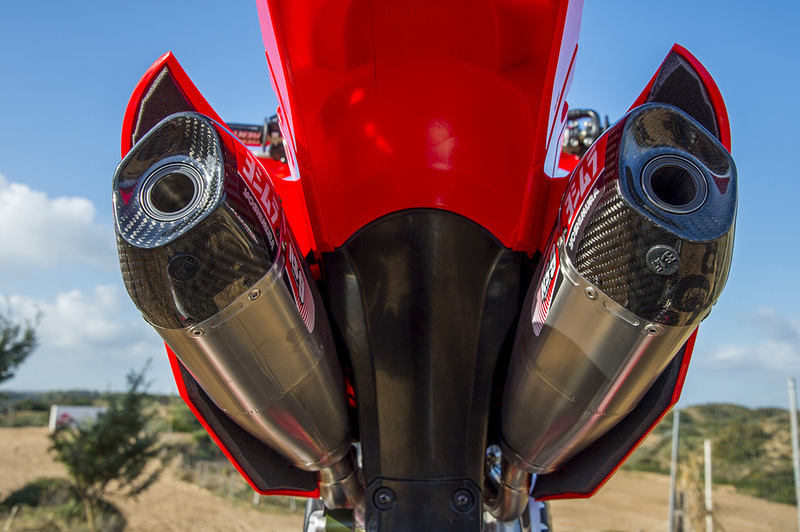 It’s a masterpiece of engineering efficiency and performance, and the 2019 bike is the latest evolution of the 2016 World Championship-winning machine, based upon the all-new-for-2017 CRF450RW. 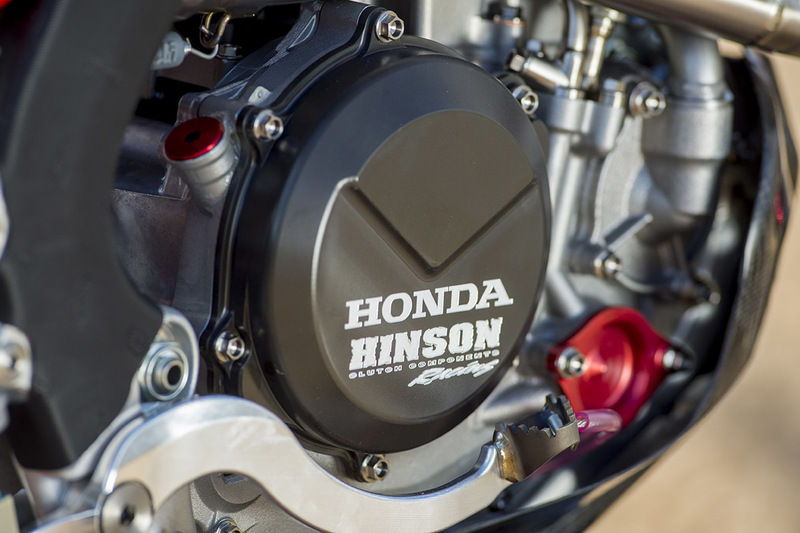 Development moved as fast as the bike’s pace on track in 2014 when HRC returned to MXGP as a factory effort, and five race victories ensued, four of those coming as the season drew to its close. 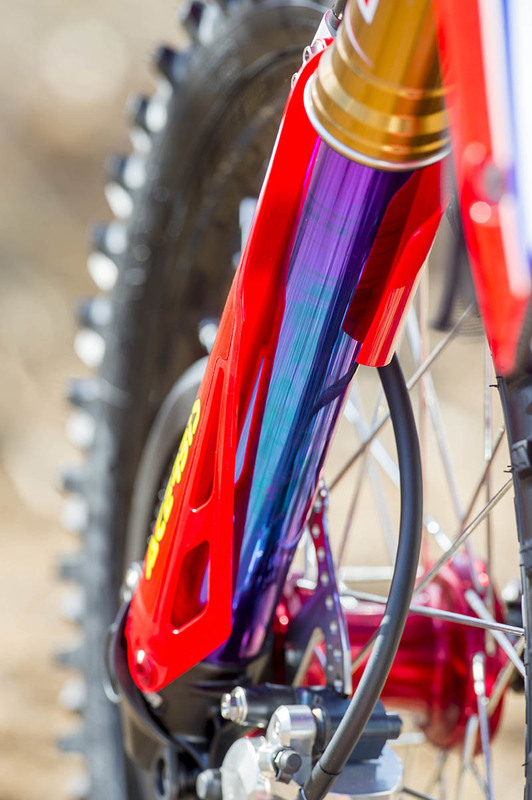 With an intensive programme of further development over the winter, the 2015 bike proved to be a winner again, and finished second and third in the world. 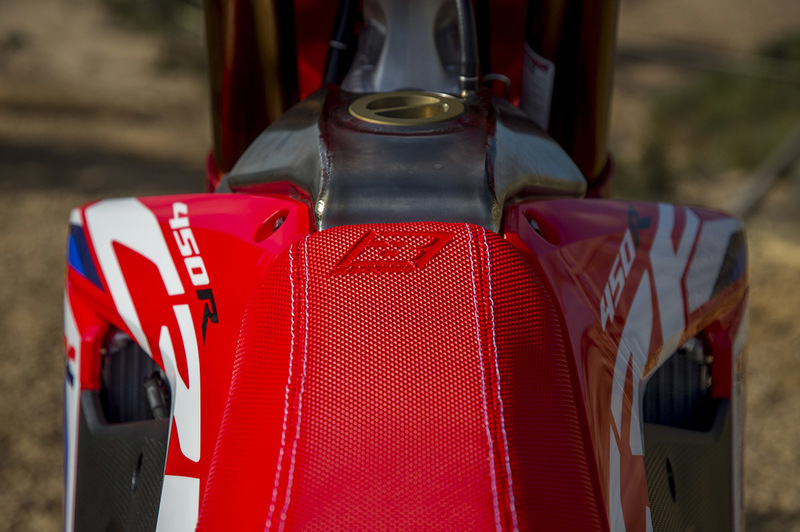 In 2016, HRC’s three-year plan was realised when Tim Gajser took his CRF450RW to the World Championship title – Honda’s first in 16 years. At the end of the 2016 season, the all-new 2017 CRF450RW was also debuted, first by Evgeny Bobryshev at the final two rounds of the season, and then also by Gajser at the SMX Riders’ Cup where he took the new bike’s first moto win. In the 2017 MXGP season, Tim Gajser continued the new machine’s success with eight moto victories, including overall Grand Prix wins in Argentina, Mexico and Sweden, and he and teammate Evgeny Bobryshev scored nine podiums throughout the season. 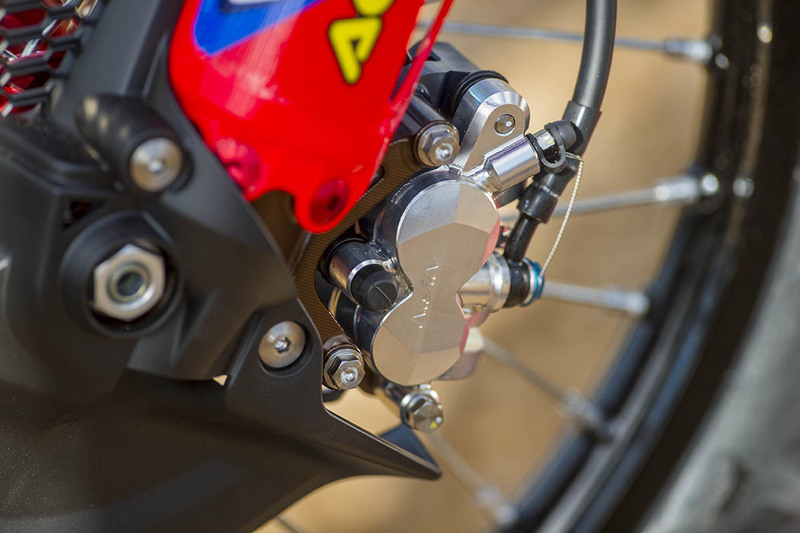 The lightest stock machine in its class, it carries these characteristics into motocross race trim following Honda’s ethos of mass centralisation, combining light weight and effortless manoeuvrability with useable power delivery. Its slim proportions feature finely tuned aerodynamics and a low centre of gravity for greater control in the air. 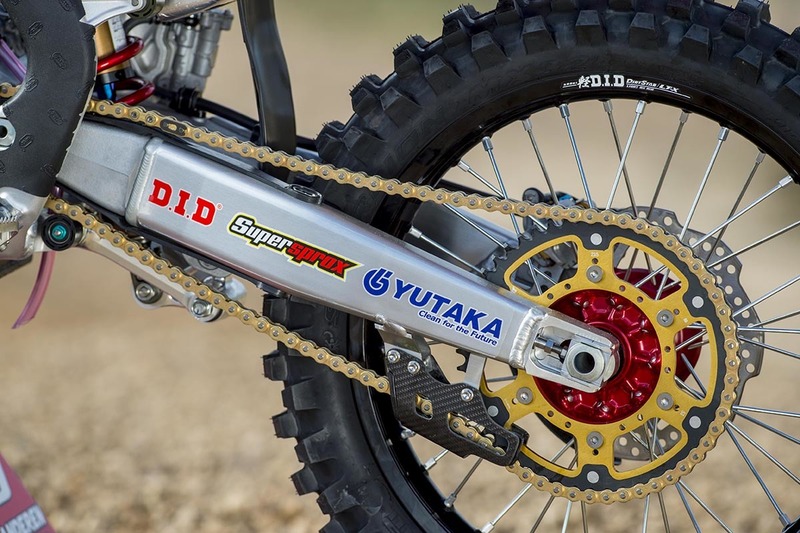 The factory versions of the machine are shod with Pirelli tyres and Showa’s SFF Air TAC suspension, and a number of custom performance parts such as billet titanium footpegs, titanium bolts to reduce weight, factory-spec cylinder head and camshaft, and custom US-Yoshimura exhausts. The Honda CRF has remarkable motorsport lineage and is a force to be reckoned with across all off-road disciplines. In the MX2 category of the FIM Motocross World Championship, Gajser took the first of his back-to-back titles in 2015 on his CRF250RW, followed by the MXGP title on the 2016 CRF450RW, marking a motocross milestone for Honda and HRC. In 2018, Calvin Vlaanderen won the MXGP of Indonesia in MX2 while Mathys Boisrame also rode his Honda CRF250RW to victory in the 2018 EMX250 championship, collecting numerous race wins, overalls and holeshots in what was a highly successful championship for the French rider, who now steps up to the MX2 class for 2019. 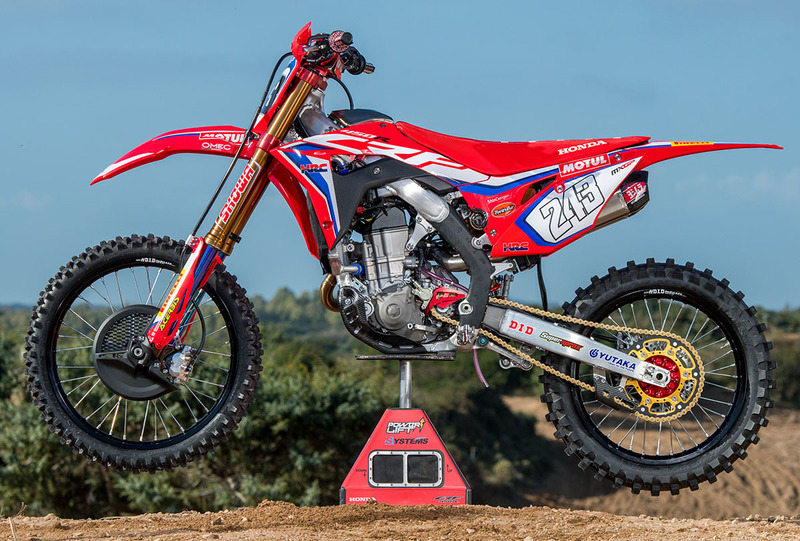 In the Dakar rally, the new Honda CRF450 RALLY has been delivering remarkable performances since 2014, and has taken stage wins and led the infamous event in 2016, 2017, 2018 and 2019. In the Enduro World Championship, Redmoto’s campaign is successfully building upon past successes such as Alex Salvini’s 2013 World Championship title aboard his CRF450R, Giacomo Redondi’s EJ World Championship crown in 2016 and Davide Soreca’s second place in the EJ World Championship in 2017.